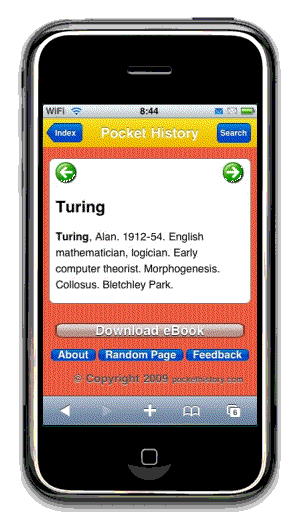 Make your iPhone or iPod Touch happy with our free webapps. Pssst - they work with most web browsers if you don't have an iPhone. Look up at the night sky, as people have done since the beginning of time. Some of those bright dots are planets. Others are bright stars. There are constellations to pick out if you know where to look. 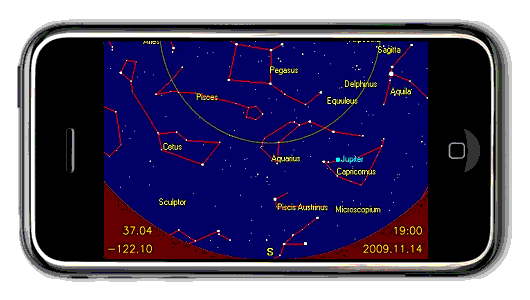 Night Sky makes it easy to identify the planets and constellations on a clear, easy to read display. Tap to rotate the view so the horizon matches the direction you are looking. 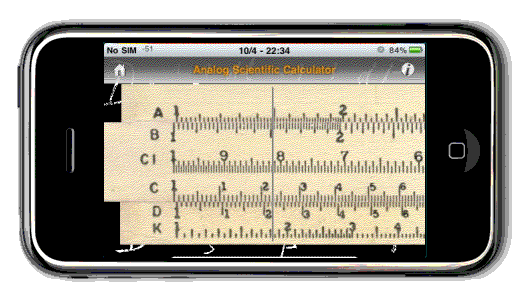 Use your iPhone GPS location, or enter any location, date and time to see the night sky. Works offline for viewing without a connection. Instant access to 10,000 key facts and 20,000 dates from the history of politics, art, philosophy, religion, science and technology. Browse at random or search the text. Perfect for students, world travelers and history buffs. Gas pump prices and exchange rates change every day. How much can you save by driving across the border from Canada to the United States? This handy app will show you how much you can save today. Exchange rates and pump prices are updated automatically. 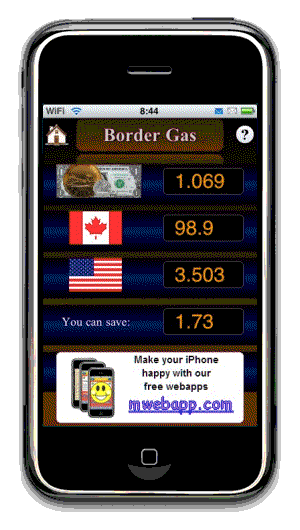 Works offline as well - calculate loonies per liter and dollars per gallon instantly, any time.